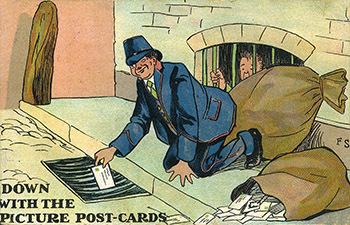 Postcards are fascinating and collectable in lots of different ways. Each is a snapshot of the past: a moment, a slice of social history, frozen in time. 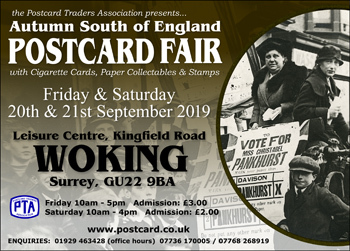 The Postcard Traders Association represents the UK's foremost dealers, auctioneers, fair organisers, publishers and accessory distributors amongst its members. 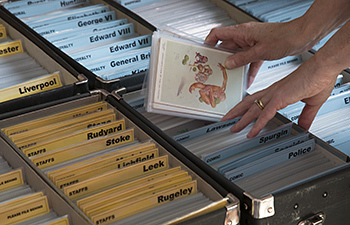 Formed in 1975 the Postcard Traders Association represents the UK's foremost dealers (and increasingly from overseas! 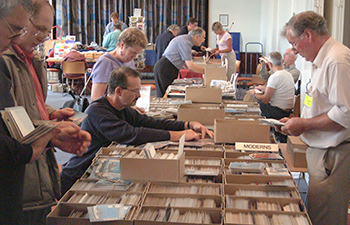 ), auctioneers, fair organisers, publishers and accessory distributors amongst its members. All have been vetted to ensure that the high standards and objectives set upon its foundation are maintained to help in protecting collectors against unfair or dubious trading practices.